Because Challenge relationships (or “showmances”) are super stable, Brad is rattled by Paulie yelling at him that his girlfriend Britni was hooking up with her ex-boyfriend Chuck at the Redemption House. 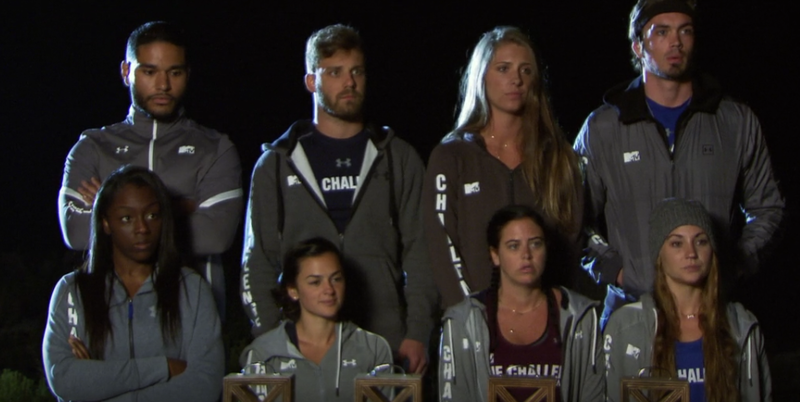 Natalie and Paulie join the Redemption House to make for four teams in the Redemption House at the start of Episode 4. The Redemption House this season is pretty sweet. It’s big, it has nice wine glasses that you can drink bright green drinks out of. And it has a surveillance room. Welcome to a new season! The 3rd and final season in a trilogy we didn’t know we were in. It’s essentially a mix of Rivals and Exes, but littered with the words “dirty” and “vendettas” because of the previous two seasons. The finale of the trilogy within this series is The Final Reckoning. Set in South Africa, there’s $1 million prize at stake (how that’s divided out is unknown at this point, of course).